When I was first setting up this website to be able to build and sell online courses, the biggest headache I faced was trying to figure out what combination of tools I needed to make it all possible. Since I’m now at a place where everything is up and running and I’m happy with the tools that I’m using, I thought I’d lay them all out in a way that alleviates the headache that you might be feeling right now. I use WordPress as my blogging platform. That’s where I spend the majority of my time writing new blog posts and creating new course lessons. My WordPress site lives on top of a BlueHost account. That’s the hosting service that I use, which means that’s where all of the data on my website actually lives. I actually signed up with BlueHost first (before WordPress). That’s where I buy domain names and I’ve always used the one-click WordPress installation, which has worked well for me. The specific WordPress theme that I use is called X Theme. That’s what controls the design and appearance of the site – how it looks to visitors. That’s a premium theme, which means that it does cost money, but it is so clean and versatile that I don’t mind paying for it. These first three pieces are the core of the website. From there we add a bunch of plugins to WordPress. Plugins are essentially add-ons that allow your website to do things that it can’t do with the built-in features that come already installed with WordPress. 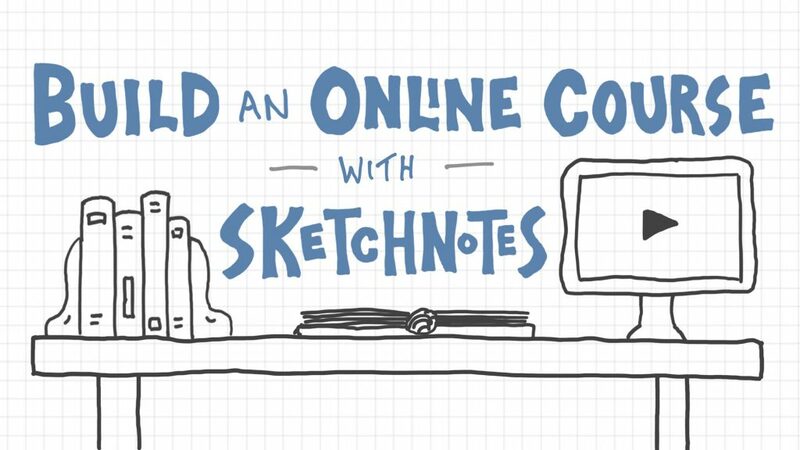 The plugin that I use to create the whole online course experience is called LearnDash. The term for that thing is a learning management system, LMS for short. It’s within that system that you create individual lessons and link them together into a complete course. That all happens while you’re logged into WordPress, and it feels identical to writing a simple blog post. So if you’re already comfortable with that, you won’t have any trouble putting together a course with LearnDash. So I build my courses using LearnDash, but to sell them I need a few more things. The first is a way to provide the whole checkout system on your site. For that I use a plugin called Easy Digital Downloads. That tool allows you to sell digital products like PDFs or MP3s, but it’s also built to communicate with your LearnDash plugin, so essentially you can create a product using Easy Digital Downloads that’s linked to a specific course that you’ve built using LearnDash. Unfortunately that’s not the only tool you need for the selling step, because Easy Digital Downloads is really just the shopping cart. What you also need is a way to accept money, like the card reader at a grocery store. For that I have two options and the customer gets to pick which they’re most comfortable with. The first is PayPal, which has been around forever and everybody trusts it. The other is Stripe – a relative newcomer that seems to be dominating right now, which allows folks to pay directly with a credit or debit card. Both allow for secure transactions to take place, but one thing you’ll need to add to your site via BlueHost is what’s called SSL – that’s what allows for secure encrypted transactions. It’s within PayPal and/or Stripe that you actually link up your bank account so that you can get paid the money that you make from selling your courses or any other product. To improve the login experience for students, I use a plugin called Theme My Login. It’s simple and free. Finally, one last tool that I want to mention is ConvertKit, which is an email marketing service. That’s what you can use to set up an email newsletter to stay in touch with folks that are interested in whatever it is that you’re teaching. I recently switched from MailChimp to ConvertKit and so far I’m loving it. It’s a cleaner experience and it feels like it’s better suited for bloggers and podcasters and video-makers who are entering the world of online entrepreneurship. So that’s it. I know it seems like a lot, but if you take it one step at a time it’s not too bad to get all of this set up. Start with the three core pieces I mentioned at the beginning – BlueHost, WordPress, and X. Then get your email newsletter going with ConvertKit so that you can start growing an audience for your future course. Then tackle all of those plugins. 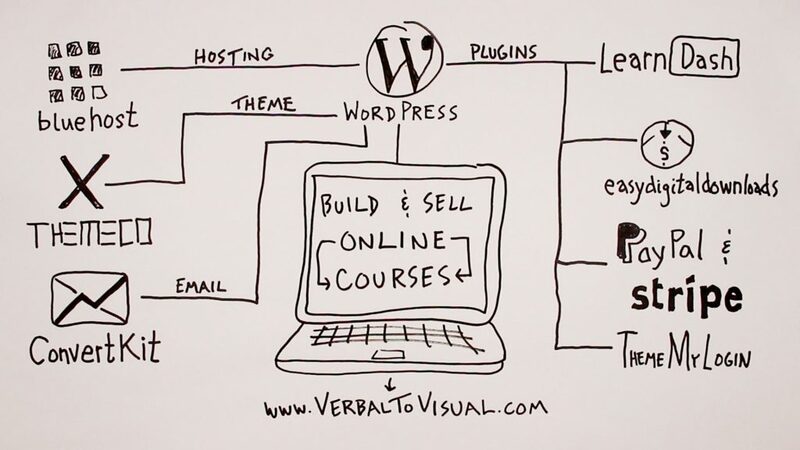 This is by no means the only way to set up a website where you can build and sell online courses, but it is the way that’s working for me, and I hope it was useful to see all of the tools laid out in this way. Good luck developing your course!